The secret is out: Cuba is the world's sexiest, most magnetic travel destination. What isn't a secret is that folks from around the corner and around the globe have been exploring and falling in love with the largest Caribbean island for decades. 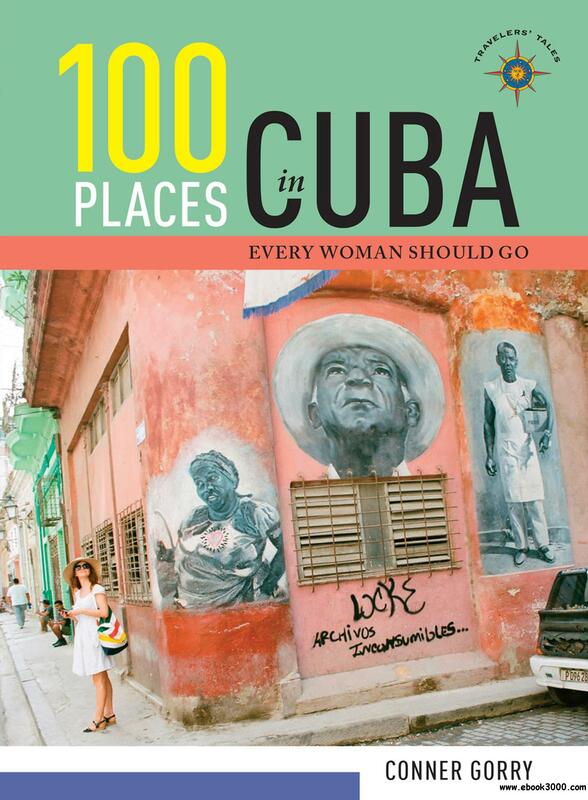 Now you can too with 100 Places in Cuba Every Woman Should Go, written from the unique perspective of a New Yorker who has called Havana home for more than 15 years. The 100 places profiled in this book are the result of decades of travel, research, and living in Cuba by a US journalist with uncommon access, ensuring travelers incomparable experiences. Much more than a prescriptive list, these narratives incorporate adventures and mishaps, insider opinion, slang, gossip, and conversations with Cubans during a historic shift which saw Soviet support evaporate, Fidel Castro take his final bow, economic reforms whiffing suspiciously of capitalism, and quasi-normalization with the United States. From exclusive interviews with prestigious Cubans to tales from intrepid travelers, these stories decipher the mysteries of Cuba while describing the country's most alluring sites, sounds, and off-the-beaten track locales. Author Conner Gorry has spent decades writing guidebooks for Lonely Planet (Cuba included), reporting from post-disaster situations, and covering Cuban life from the inside for a variety of international publications. Her expertise in parsing Cuban machismo and gender politics, analyzing the role and impact of Cuban women, and ferreting out the best places for women traveling solo or with children enriches the book. She first visited Cuba in 1993 and has been permanently based in Havana since 2002 where she reports on everything from clinical trials to questionable fashion. She has written several books about Cuba and founded the island's only English-language bookstore, Cuba Libro, in 2013; most of her explorations for 100 Places in Cuba Every Woman Should Go were made on a 1946 Harley-Davidson, leading one observer to say: 'Conner's Cuba is where Shakespeare and Company meets Easy Rider."